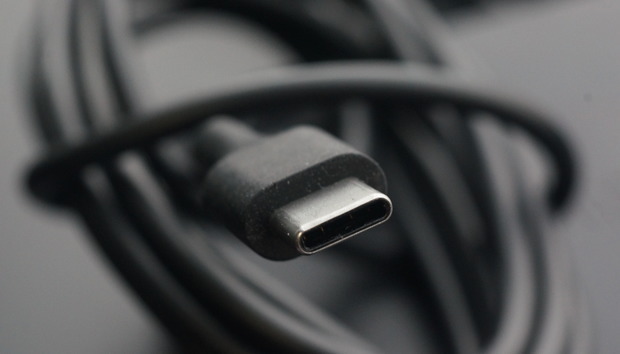 We’re here to tell you about the second way USB-C is great for technology. You already know the first way—the ability to plug a cable into your device without thinking about the orientation. Hallelujah. But the overlooked advantage—for laptops, at least—could be the promise of universal USB-C charging. Rather than always having to carry your laptop’s charging brick with you, you could, in theory, just borrow a friend’s charger. Today, of course, we’re a world away from that reality. From Microsoft’s Surface Pro 4 to Dell’s XPS 13 and HP’s Spectre X360, the vast majority of laptops still use proprietary chargers. Still, a few USB-C-powered devices do exist, and we gathered them up to stage a “plugfest,” testing USB-C’s potential for universality. All three of these laptops have USB-C ports for charging, but does that mean their chargers are interchangeable? Let’s find out! Our USB-C-powered subjects included Apple’s MacBook 12, Google’s new Pixel Chromebook, HP’s Spectre X2, and the Huawei-built Nexus 6P smartphone. All feature the newfangled USB-C port and each comes with its own charger. I also threw in a curve ball by including Innergie’s new PowerGear USB-C 45 charger. As its name implies, it has a maximum output of 45 watts, and is certified to work with Apple’s MacBook. For the first test, I took each device’s charger and plugged it into another device and noted whether it would charge from within the OS. If I’d taken another week or so to play, I could have drained the devices and measured the time it takes to recharge. At this stage in the game, however, I’m most concerned that a device charges—period. The MacBook 12 sits atop an HP Spectre X2, with Google’s 2nd-gen Pixel at bottom. When I think of universal laptop charging, I think of the famous World War II photo of Soviet troops shaking hands with American troops on the shattered Elbe River bridge. Do the results of my tests live up to this symbol of unity and signify an end to proprietary bricks? Sorta. The tiny MacBook 12 charger worked just fine with Google’s new Pixel. Conversely, the Google Pixel charger worked just fine with the MacBook 12. Innergie’s PowerGear USB-C 45 worked with both devices, too. HP Spectre X2’s ugly power brick charged the Pixel and MacBook. And all four larger bricks were able to charge the Nexus 6P—but interestingly, the Apple MacBook charger would only charge the phone at a standard rate, while the others elicited a “Charging rapidly” screen. But, hey, like I said, charging is charging. Even more impressive, the tiny 15-watt Nexus 6P wall wart had just enough juice to charge the MacBook 12—albeit at a much slower rate. The Pixel would also accept a charge from the phone’s wall wart, though it flashed a warning that the wall wart was a “Low-power charger” and that the laptop may not charge when powered up. I doubt you’d be able to charge any laptop that’s under a heavy power load, but in a pinch, a USB-C phone charger could do the trick. Think about that: You could probably just borrow your friend’s smartphone charger when your laptop battery dies! Plug a smartphone charger into the new Google Pixel’s USB-C port and it’ll warn you that the device may not charge when on. There’s always someone who spoils the party, and this time it was HP’s Spectre X2. This reasonably priced Surface Pro clone has two USB-C ports, and while it would charge with its own brick in either port, no other charger, including Innergie’s aftermarket model, would give the Spectre X2 juice while it was on. This was the case even when the Spectre X2’s battery was down to 10 percent. Here’s the chart of what worked and what didn’t. For the most part, everyone played nice—except for the Spectre X2. After speaking with HP officials about the issue, it appears the company is just playing it safe. Fearing that a counterfeit or out-of-spec charger could make the touchscreen or audio subsystem flaky, HP has limited the access non-certified chargers have to the device. For now, HP exec Mike Nash told us, only “overnight” charging, or charging while the device is off, is supported. It’s not that HP doesn’t believe in USB-C—it already has four or five devices that use it for charging. The company just doesn’t believe the spec is ready for interchangeability yet. Lee Atkinson, a distinguished technologist at HP who's been leading the effort to corral PC makers around USB-C, said the upcoming Power Delivery 3.0 spec should solve many of the outstanding issues, such as how much voltage to supply and how to control which way power flows between two devices. For now, Power Delivery 3.0 is still a work in progress, but Atkinson said OEMs are all in agreement that it has to be done correctly and with group consensus. Here’s the pile of stuff I tested, minus the Nexus 6P. Oddly, when plugged into Google’s new Pixel over a standard USB-C cable, the Google Nexus 6P charged at its slowest rate. The discrepancies between the Nexus 6P’s charging rate with the power bricks versus the standard cable is likely due to how much power the USB-C ports on the devices put out versus how much the power bricks put out. If you’re curious about the voltage and amperage of the various bricks, see the chart below. Peep the power specs of the USB-C chargers tested in this plugfest. Ever since Google’s new Pixel came out, I’ve wondered what would happen if you plugged a separate USB-C charger into each of its USB-C ports. Like the Spectre X2, the Pixel can be charged from either port. I plugged the MacBook’s charger into the left port and the Google Pixel charger into the right port. Nothing caught on fire (darn! ), but the Pixel is smart enough that you can pull a charger from either port and it won't skip a beat. I could, for example, unplug the Google charger and have it run on the Mac charger, and then plug the Google charger back in and unplug the Mac charger, without interruption. HP mentioned that one of the issues still being worked out is how the spec responds when you connect one laptop’s USB-C port to another’s. In theory, the Power Delivery spec allows you to charge a friend’s laptop from yours, just as if you were jump-starting someone's car. USB-C’s Power Delivery mode should allow the Google Pixel to charge the Apple MacBook 12. To put that to the test, I took the Google Pixel with its battery at 100 percent and plugged it into the MacBook 12 at 61 percent. The charging icon on the MacBook changed, but its battery continued to discharge, and the OS indicated that it wasn’t charging at all. The lightning bolt suggests that the Google Pixel is charging the MacBook 12, but the latter started out with 61 percent battery. Universal charging for laptops will be great someday, but it’s clear we aren’t quite there yet. In addition to waiting on the new USB Power Delivery 3.0 spec, it’ll take some years for new designs and chargers to show up, and for companies with a vested interest in their proprietary designs to give them up. This small-scale plugfest, however, has us optimistic that it’s going to happen in a year or three. P20 launch: Will Huawei ever make it in the US? Will Chinese companies surge to the top of the public cloud market?